Notre Dame’s latest two-sport athlete has decided to cut it back to one this spring. 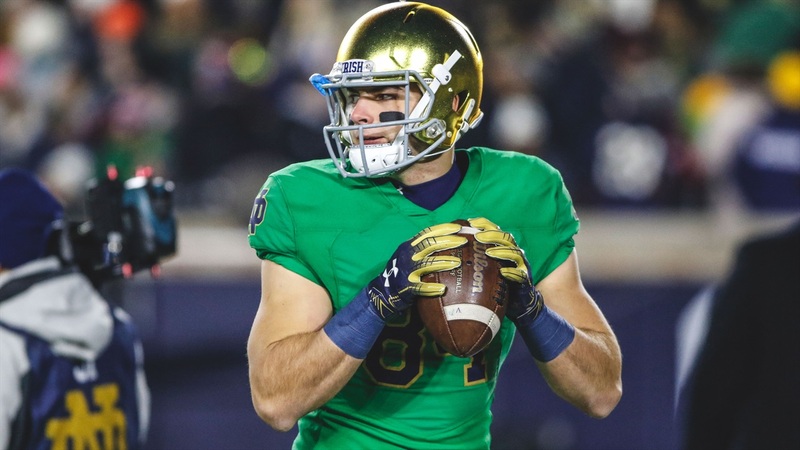 Tight end/pitcher Cole Kmet is going to focus on football exclusively for the rest of spring due to an injury to his throwing arm. In eight pitching appearances this season Kmet has a 2.89 ERA and has recorded two saves. He struck out 27 batters in only 18 ⅔ innings of work so his presence on the pitching staff will be missed by the Irish baseball team. It’s something Kmet did not want to aggravate or have interfere with his football related activities. He is competing to be the starting tight end this upcoming season and has been having a strong spring on the football field so far. With this being an opportunity for a breakout year, it’s a chance he didn’t want to take. This doesn’t mean his baseball career at Notre Dame is over, though. This injury won’t restrict him in football so don’t look for the coaching staff to scale anything back with him.